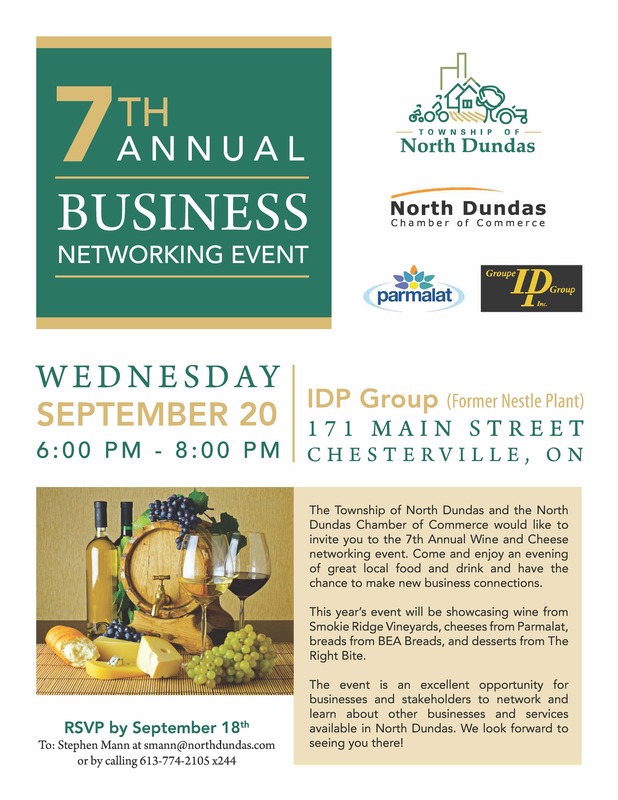 The Township of North Dundas and the North Dundas Ch amber of Commerce would like to invite you to the 7th Annual Wine and Cheese networking event. Come and enjoy an evening of great local food and drink and have the chance to make new business connections. This year's event will be showcasing wine from Smokie Ridge Vineyards, cheeses from Parmalat, breads from BEA Breads, and desserts from The Right Bite. The event is an excellent opportunity for businesses and stakeholders to network and learn about other businesses and services available in North Dundas. We look forward to seeing you there!